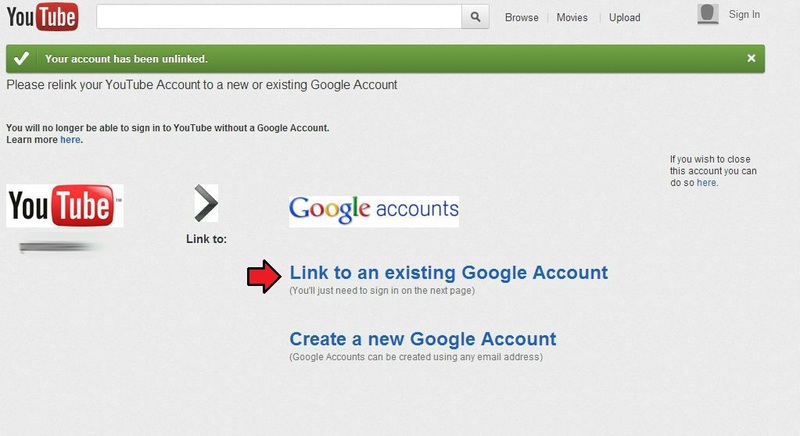 Ike the Network Guy: How to: Change which Google account is linked to your Youtube account. 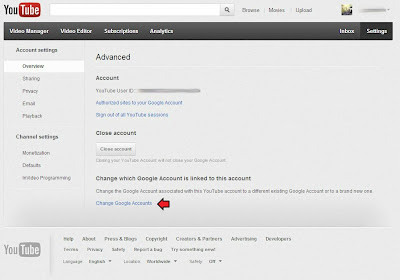 How to: Change which Google account is linked to your Youtube account. It should be noted that once you migrate to a new Google account you will NOT have the option to migrate again. And this option is only available if you have a YouTube account created with an old user name and log in. At the top right of the screen click the down arrow to open the drop down menu. Click on settings. In the Overview find your old name and click the Advanced link underneath it. Next click on Change Google Account. Now you will need to unlink your YouTube account from your the current Google account attached to it. First verify that you are human in Section A. Then click Unlink My Account button. Afterward you will need to reattach it to your new Google account or create a new account for it to be linked to. Now that your YouTube account is unlinked. You'll need to link it to a new Google account. Assuming that you already have another Google account ready, click Link to an existing Google Account. On this screen sign in to your new account by entering the password. If this isn't the account you want to link to click Sign in as a different user. When you are ready click the Link accounts button. 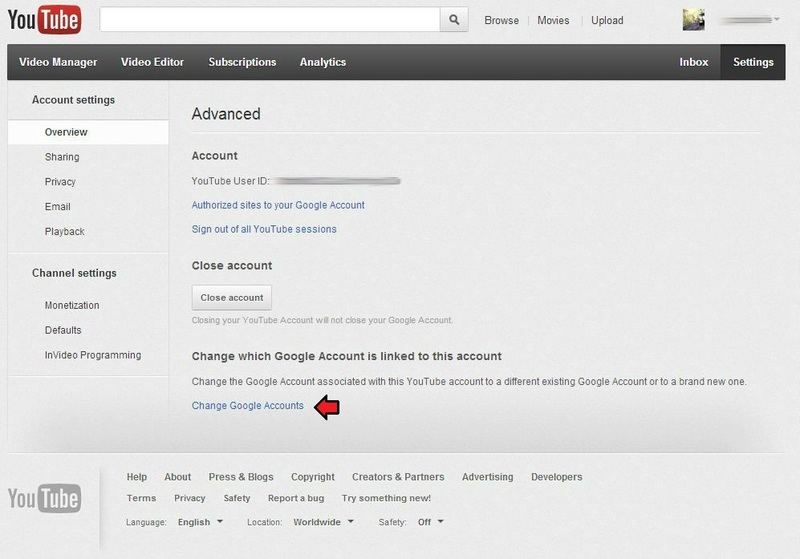 Lastly, confirm that you are linking your YouTube account to the new, more mature, Google account. From here you will go through a series of 'house cleaning' options to delete videos or comments from you account. Don't ignore this part, you'd be surprised some of the stuff that came out of your mouth. And that's it! Your YouTube account is now linked to your new Google account. You're all set to put on that suit and tie, get out in the real world, and make something of yourself.